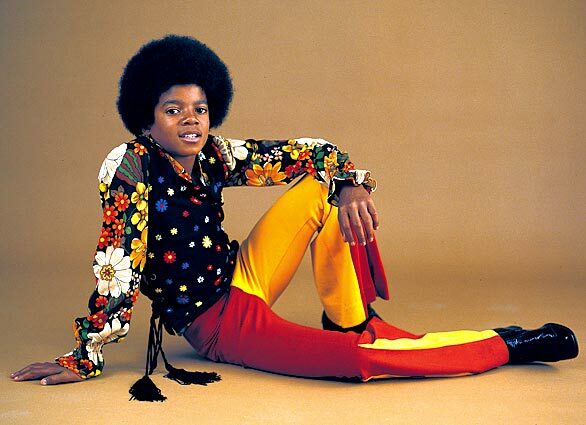 A young Michael Jackson. He was born in Gary, Ind., the seventh of nine children. 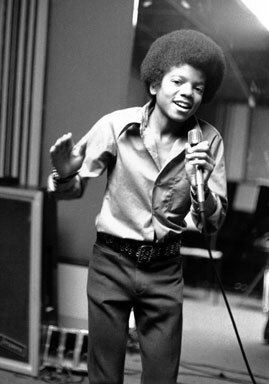 Micahel Jackson at 13 years old, practices in his home in Encino in 1972, the year he made his first solo album. 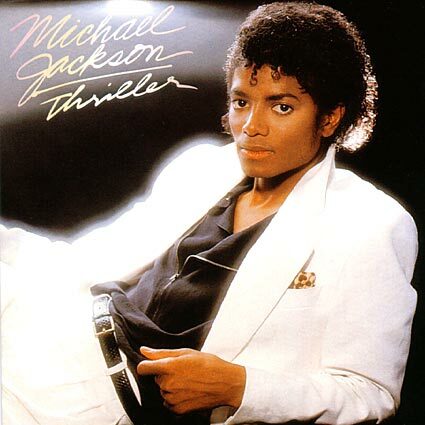 Michael Jackson’s “Thriller” held the No. 1 spot for 37 weeks in 1982 and ’83, and seven of its tracks made the Top 10. 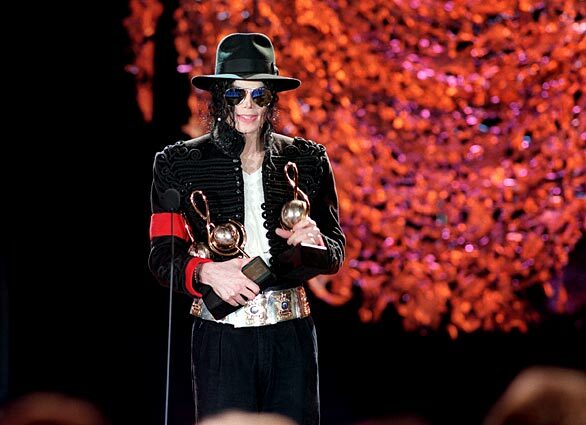 Michael Jackson thanks fans after winning three World Music Awards in Monaco in May 1993. Michael Jackson and wife, Lisa Marie Presley-Jackson, open the 11th Annual MTV Video Music Awards at New York’s Radio City Music Hall, Sept. 8, 1994. Michael Jackson performs with Britney Spears during Jackson’s “30th Anniversary Celebration, The Solo Years” concert at New York’s Madison Square Garden, Sept. 7, 2001. 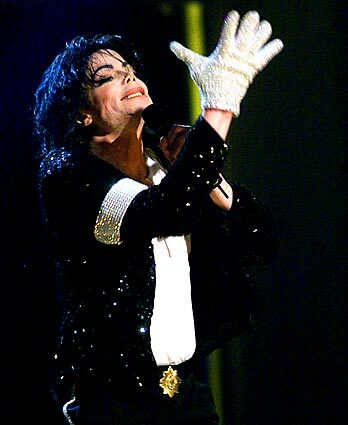 Michael Jackson sings with his trademark white glove during his “30th Anniversary Celebration: The Solo Years” concert in 2001 at New York’s Madison Square Garden. 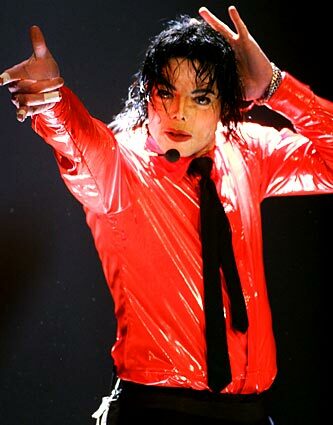 Michael Jackson performs in April 2002 during the taping of “American Bandstand 50th…A Celebration” in Pasadena. 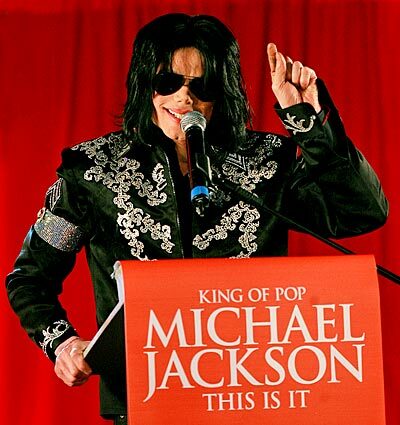 Michael Jackson at a news conference at the O2 arena in London. Jackson pushed back the first four of his comeback concerts in London this year, but organizers had said the decision was not linked to his health. 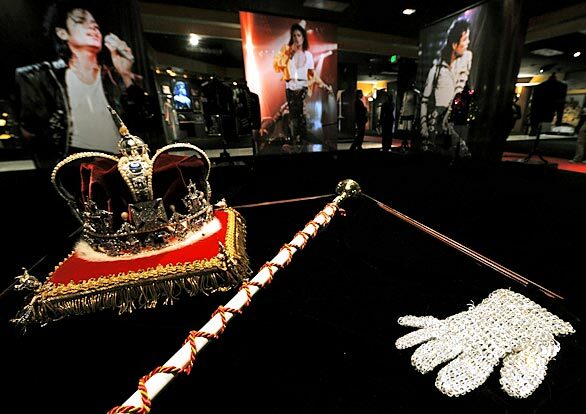 < Michael Jackson's crown, ceremonial scepter and jewel-encrusted glove on display in Beverly Hills were saved from an auction after a legal settlement in April 13, 2009. This entry was posted on Sunday, June 28th, 2009 at 4:11 pm	and is filed under Celebrity News. You can leave a response, or trackback from your own site.